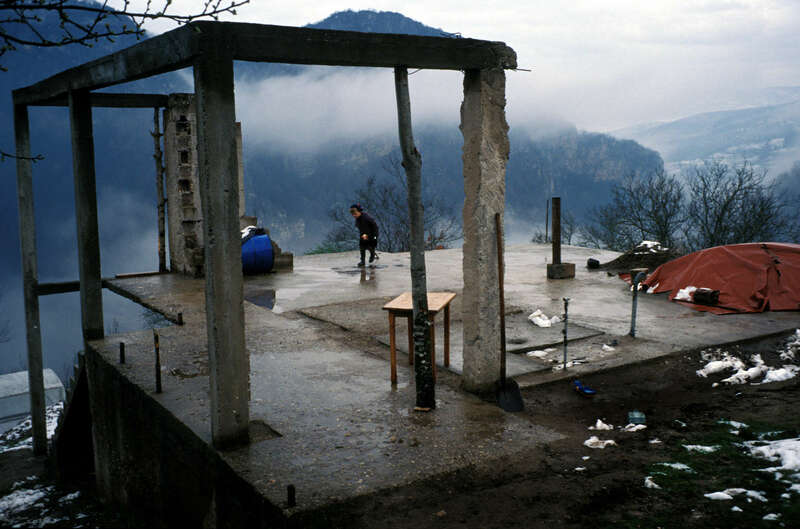 A young boy plays on the recently-laid foundation of his grandparents\' home in a mountain-side village in eastern Bosnia. Muslim villagers were forced to leave by Serbs who were \"cleansing\" the country of Muslims in an attempt to create a greater Serbia, which would join Bosnian Serbs with Serbia, which borders Bosnia to the east. Of the returning refugees in this village, all are elderly. Young people -- including this boy\'s mother -- are starting new lives in the towns where they lived as refugees during the 1992-95 war.